Whether you have a sweet tooth or not, you are most likely eating more sugar than you realize and rightfully so. Our brain needs sugar–our body’s cells and brain rely on sugar, aka glucose, in our bloodstreams to function. Typically we get glucose from eating foods that contain sugar. 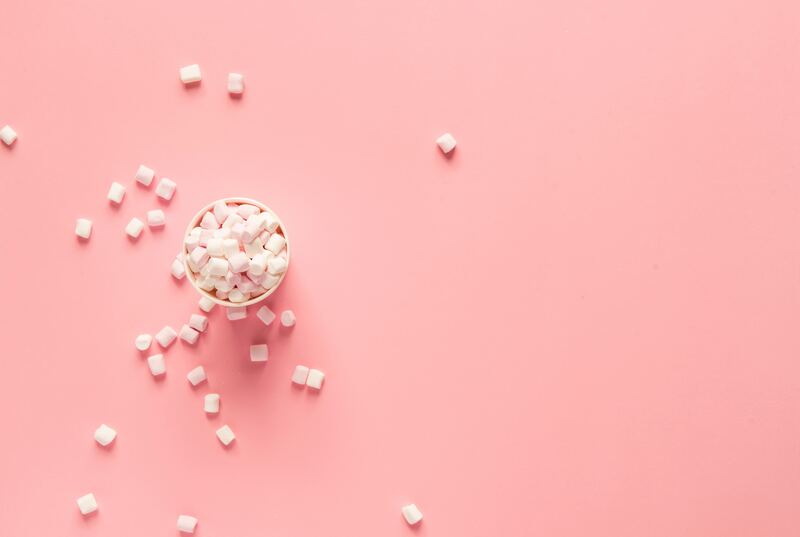 However, when your blood sugar is imbalanced, which typically means it has too much sugar that is when we can feel easily irritable, having trouble concentrating, feeling tired and craving more sugar. So what does this all mean? Well, you have been probably been told time and time again that you need to watch your sugar intake. This is absolutely true, but it doesn’t mean you have to swear it off for good because remember our body does need some to function. Instead of banning sugar or thinking that you can’t have any at all, it is more important to consume sugar smarter. Eat sugar with a protein and a fat. The winning combo keeping blood sugar spikes at bay is to combine food with sugar in it with a healthy protein and healthy fat. Eating sugar with a protein and fat, allows the body to absorb the sugar slowly instead of much quicker if the sugar entered the body on its own. When the sugar enters the bloodstream more slowly, insulin can do its thing store the sugar for future use. This pairing is especially great after a workout. Your body handles sugar a lot better because your worked muscles are more than happy to welcome glucose in for recovery and soak it right up. Consume sugary foods that rank low on the GI. Where your sugar comes from matters. That beloved doughnut has a different reaction in the body than an apple. Every carb-containing food has a different effect on your blood sugar level after you eat it. This effect on your blood sugar is called the glycemic response which is the measure of how foods rank on the Glucose Index aka GI. The GI scores food on a scale from 1 to 100. To give you a glimpse, glucose ranks at 100 on the glucose index. You want to aim at consuming sugary foods that rank under 55. These foods are said to rank low on the GI. Meaning these foods are slowly metabolized and don’t spike your blood sugar quickly after consuming it. Without pulling up google every time and seeing where a certain food you want to eat ranks, try thinking of it this way. If it has a good amount of fiber and fat then it is likely to rank low on the GI scale, if it is processed or cooked then there is a good chance it will rank high on the GI scale. By using these tips and tricks, this is essentially how you can ‘have your cake and eat it too’!